Interest free financing -- We will work with you on payments that fit your budget 50% discount off the sales price of any junior herd-sire with any female purchase. Bred females come with a complimentary breeding for next year -- 1/2 price breeding's for as long as you own your female(s) to any solely owned herd sire. Forever and a day ----- Customer Support -- We will always be here to answer your questions and give any you whatever support and help that you need! Great deal on package of 5 females for 2019 for $2500! 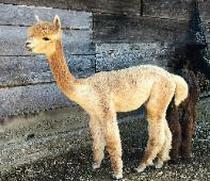 These girls are being sold as pet/fiber alpacas although selling them as breeders is an option. They are all proven breeders. These girls are great, but need to diversify some bloodlines. Pics will be added soon. breeding to Cato, September or Glacier. Charlee is a gorgeous medium silver grey girl out of two time national grey fleece champion, Carderock and Duchess of York. She is very fine and crimpy with a wonderful handle. She has placed first in every spin-off I have entered her fleece in! She will be ready to breed in the fall of 2017 or spring of 2018 and will come with a breeding to your choice of herdsire. ​Beautiful medium fawn daughter our of Accoyo Sept. She has a nice square conformation and her fiber is dense with a soft handle and uniform crimp throughout. Ali is ready to be bred and would come with a breeding to Cato, Glacier or Jackhammer. Proven female Harmony is a fantastic dark fawn maiden with black points out of a dark silver grey dam, Priscilla Grace and white sire, MFI Peruvian Riveria. She delivered a lovely female cria out of A.L. 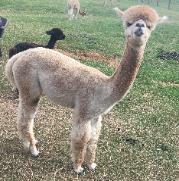 Paca's Jackhammer on May 30, 2011.
trained and is ready for the spring shows. Onyx is out of our true black female, Black Magic, and multi champion true black herdsire, Silver Cloud's Saphhire Onyx comes with a full reproductive guarantee and 2 breedings to any of our solely owned herdsires. I would recommend Grey Vista! ​Brooklyn is a gorgeous light fawn daughter of Accoyo Enterprise and Saratoga. She has a good solid background, lovely handle and crimp, and would be a great addition to any herd. Brooklyn is ready to be bred and comes with a recommended breeding to September or Cato. ​This is one sweet little guy! 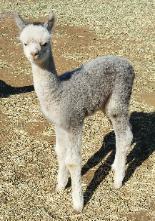 And the most beautiful color of light silver grey fleece I have ever seen except for his sire. He is now weaned and ready for a new home. What a handsome guy! Sired by many time champ, Beethoven's Dorian, he has it all with full coverage and multicolored to boot! I will be selling half ownership in this awesome guy! He has just started his breeding career....stay tuned! First crias to hit the ground in 2019. ​Quick Silver has a lovely silver gray blanket. This gelded huacaya also has great conformation. He would make a wonderful pet and/or fiber boy. ​Alucio is very striking and what a wonderfully soft handle to his fleece. He also has a really sweet temperament -- just an all around nice guy! Light fawn/beige multi Bozeman took 3rd place ribbons behind two full accoyo males at two shows in very large fawn classes. Big teddy bear of a boy and laid back also. 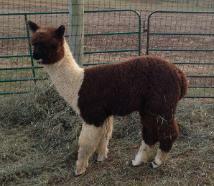 Dark Brown with Black Points Noble has beautiful fine crimpy fleece and perfect conformation. He is out of our award winning herdsire, Vesuvius, and his dam, Casseopeia always produces ribbon winners! He is the 1/2 brother to Grey Vista above and our Orian, who was reserve champion at the Empire Show He just attended his first show, SAFONA, and took 2nd place. Medium Silver Grey Duke is a lovely silver grey male out of multi champion sire, Lucky Luciano. Very dense yet fine fleece for a grey and nice crimp and handle Duke is ready to breed but our bloodlines are too close to use him. Now is a great chance to add his great grey genetics to your herd. Multi Britches certainly stands out in the pasture and if you take a closer look, you will understand exactly how he got his name. Both his white and his black fiber is absolutely gorgeous--high uniform crimp, fineness and handle like the touch of a cloud We decided not to take Britches to the fall shows since he stood in his water trough most of the summer due to the extreme heat and looked like he shaved his legs from the knee joint down--it will be spring shows for him.